Does low vitamin D impair recovery after hip fracture? Hip fractures are one of the most common injuries the elderly face. 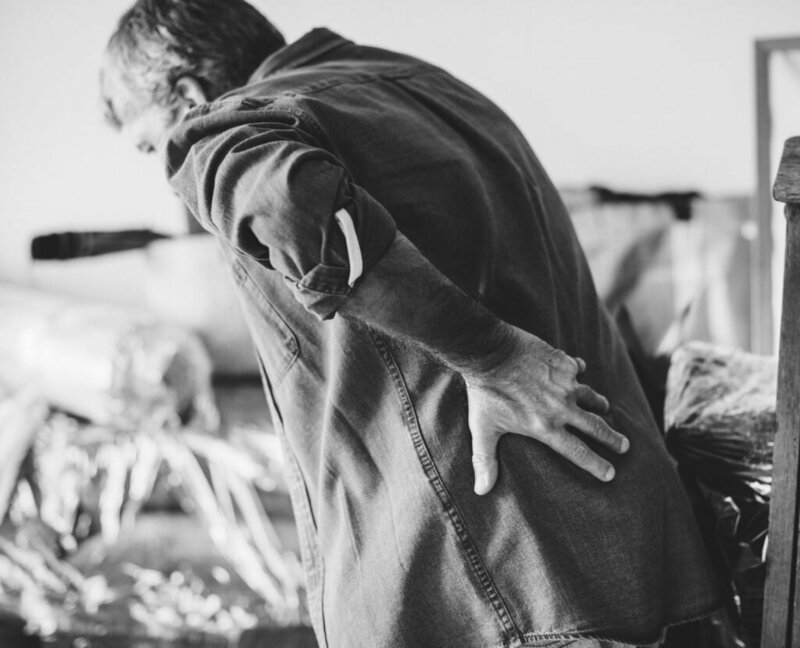 The United States has one of the highest hip fracture rates in the world, with at least 300,000 people over the age of 65 hospitalized for it each year. As our elderly population grows, hip fractures will also. Recovering from a hip fracture is a lengthy process and takes a significant physical and emotional toll on the patient and their loved ones. Furthermore, hip fractures pose a serious threat to patient’s long-term health. In fact, about 40% of those who break their hip lose their ability to walk independently, and up to 24% of patients die within one year. Chronic vitamin D deficiency is a perfect example of a nutritional imbalance that results in bone loss over time. This is not, as is commonly believed, primarily due to vitamin D’s involvement in increasing fractional calcium absorption. Instead, it appears to be mainly due to vitamin D’s role in improved balance and in maintaining muscle strength via a well-understood effect of increasing both vitamin D receptor status and the diameter of type-one muscle fibers. Despite the known relationship between vitamin D and hip fracture, the relationship between vitamin D levels and subsequent chances of recovery is not well understood. As a result, vitamin D deficiency frequently remains untreated in those at risk for hip fracture. This led to a new study trying to determine vitamin D status and risk of hip fracture complications. If such an association exists, the researchers planned to identify the ideal D range for better subsequent physical independence. A total of 1,350 patients who sustained a hip fracture, either spontaneously or from minimal trauma, were included in the analysis. All patients received surgery to repair the fracture and had their serum 25(OH)D levels measured a few days after their surgery. None of the patients supplemented with vitamin D at the time of fracture or over the duration of surgery and in-patient recovery. The researchers measured the patient’s functional independence throughout the duration of their rehabilitation in the clinic. Recovery improved as D levels increased, different across all four groups of vitamin D levels (p < 0.001). Functional outcome was significantly impaired below 12 ng/ml compared to those with higher levels (p = 0.005). However, there was no difference in outcome when comparing levels between 21-29 ng/ml and levels > 30 ng/ml (p = 4.21). After adjusting for a variety of cofactors, the relationship between functional outcome and vitamin D status remained significant (p = 0.007). This study shows the importance of early detection and correction of vitamin D deficiency after hip fracture. However, due to its observational design, the study was unable to determine just how beneficial vitamin D supplementation may be in improving recovery. Although it appears levels of 30 ng/ml provided the most benefit, it’s important to remember that levels between 40-60 ng/ml are optimal for improving a wide range of other health benefits, beyond bone health. Besides vitamin D and calcium, bone contains magnesium, boron, zinc, vitamin K and other nutrients as Dr. Cannell blogged previously blogged about. However, little to no research exists that evaluated the usefulness, or not, of adding additional nutrients to reduce complications of hip fracture. The Vitamin D Council recommends adults supplement with between 125 – 250 mcg (5,000 -10,000 IU) vitamin D3 per day when unable to sunbathe. But readers should remember, both bone structure and healing require more than vitamin D and calcium. Our team recently partnered with Bio-Tech Pharmacal to ensure our members have access to high-quality, low-cost vitamin D supplements. Use discount code “VDCBiotech20” to receive 20% of your order. Sturges, M. & Cannell JJ. Vitamin D deficiency increases risk of impaired functional outcome after hip fracture, The Vitamin D Council Blog & Newsletter, 7/10/2018. Di Monaco, M. et al. Classes of vitamin D status and functional outcome after hip fracture: a prospective, short-term study of 1350 inpatients. European journal of physical and rehabilitation medicine, 2018. 1 Response to Does low vitamin D impair recovery after hip fracture?